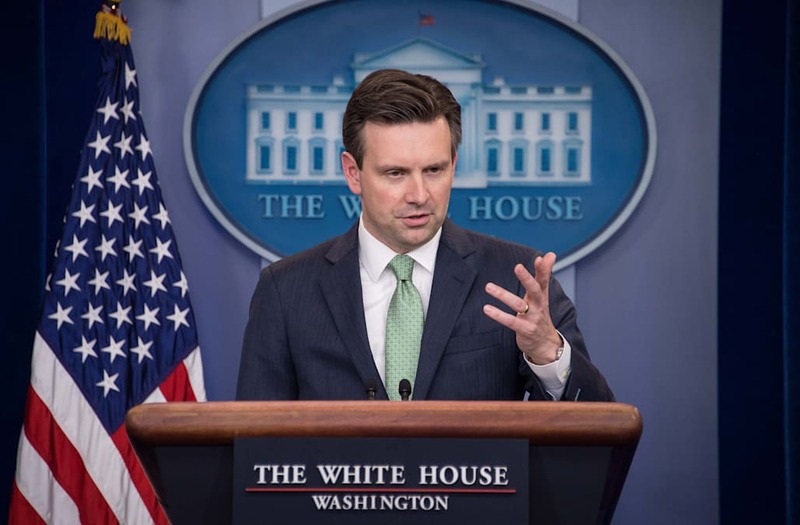 White House spokesman Josh Earnest is firing back at Donald Trump's claims that the U.S. intelligence officials may have perpetrated a leak of unverified stories about him, reports The Hill. At a briefing on Wednesday, the press secretary told journalists, "I think it is deeply misguided for anybody at any level to question the integrity and motives of the patriots who serve in our intelligence community." He then added, "It doesn't mean they're always right, but questioning their motives is another thing all together." Just hours beforehand, Trump had held his first news conference since becoming the president-elect; the Los Angeles Times reports that, during this event, he stated, "I think it was disgraceful that the intelligence agencies would allow information [to leak] that turned out to be false and fake. I think it was a disgrace." These allegations are said to involve a collection of controversial but unsubstantiated accounts about the president-elect. Trump had also expressed similar thoughts earlier in the morning, tweeting, "Intelligence agencies should never have allowed this fake news to 'leak' into the public. One last shot at me. Are we living in Nazi Germany?"